I hope you enjoy this image. I rather enjoyed the occasion that lent me the opportunity to take it. If you ever get a chance to meet any of your favourite authors at one of their book signings/talks/Q&A/events then be sure to take it. 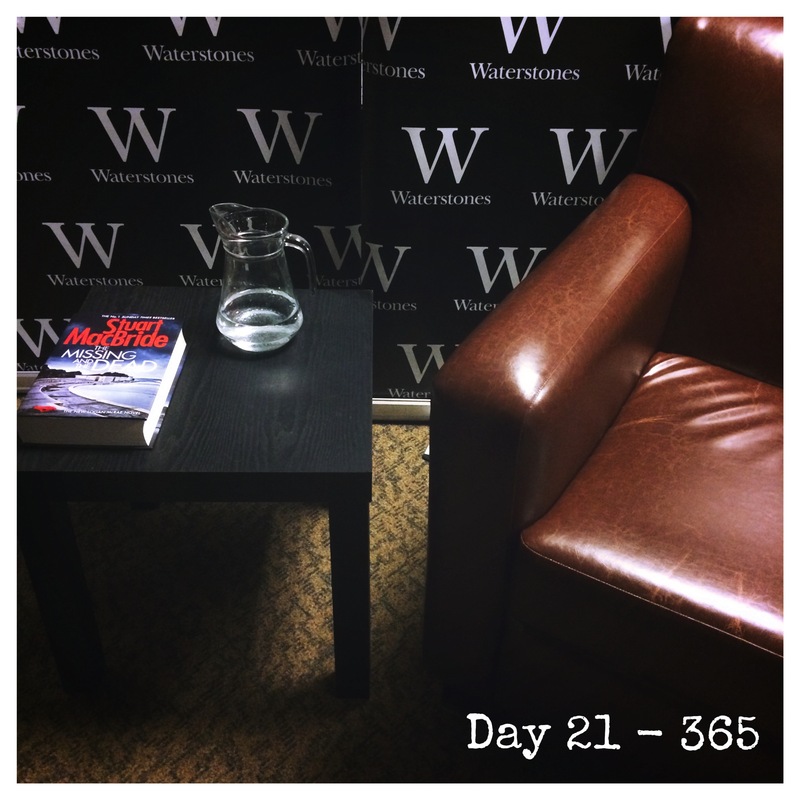 Today we went over to Waterstones in Leeds to spend a little time with crime writer Stuart MacBride. This is the actual chair that was put out for Stuart to sit in, although I don’t recall that he did. I have met the author John Connolly on several occasions and he is a wonderful chap to listen to and talk with. Having been royally entertained by John, I was very doubtful that any other writer would hit the heights he had set. Further to add to my concerns was the snow and poor driving conditions from today and I was close to sacking the event off. Thankfully we made the event. Stuart definitely brought his “A” game tonight – a little Twitter in-joke there – and was entertaining, illuminating, thought provoking and, generally, fab to listen to. Mr Connolly needs to keep his standards up or else Stuart may claim his crown. After all, as Stuart told us tonight, he’s already the World Stovie Champion.